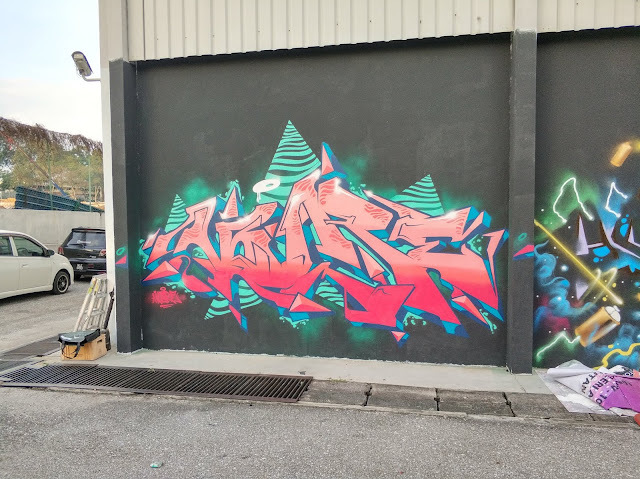 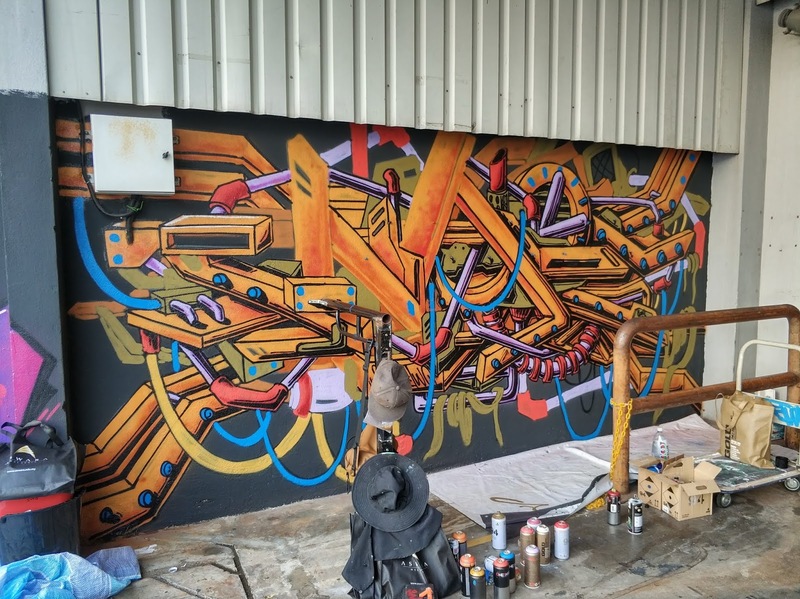 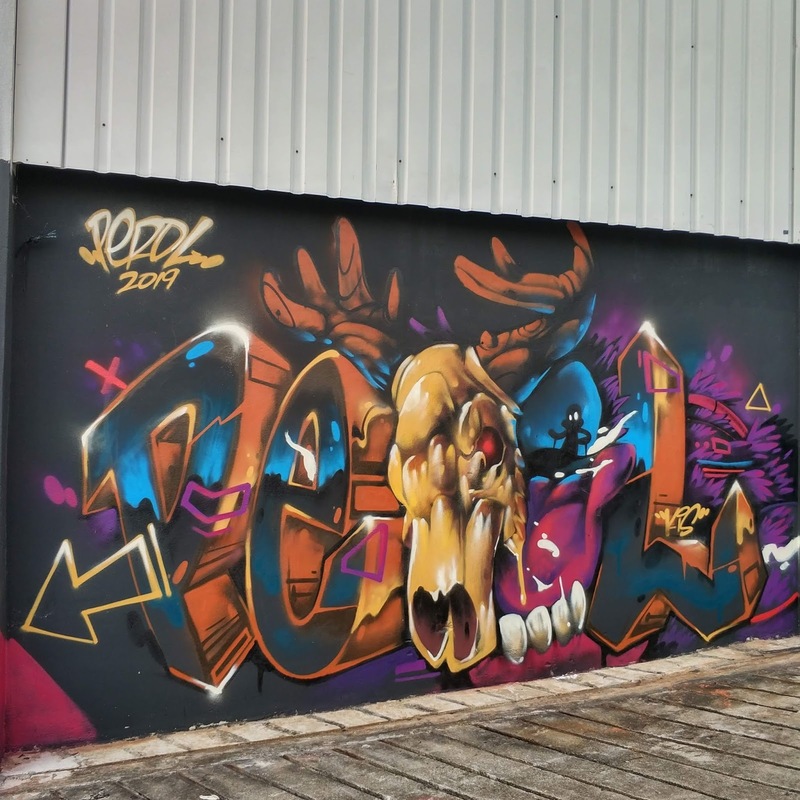 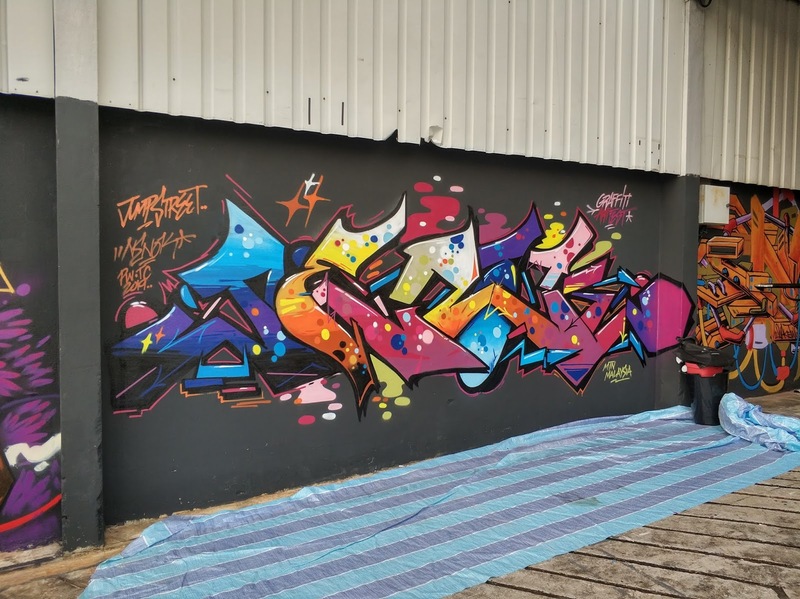 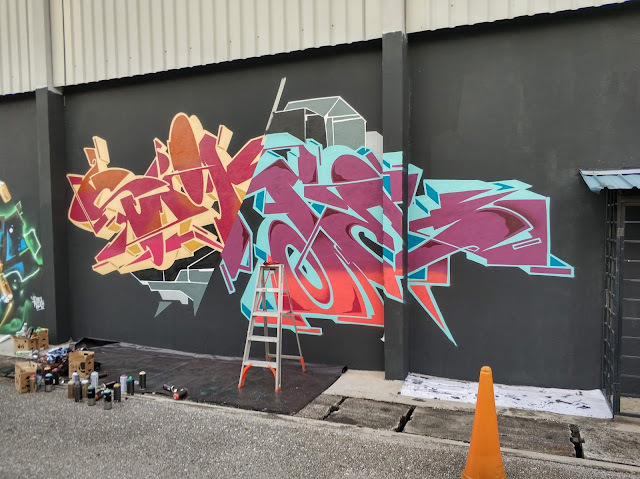 featuring graffiti jam as the main event alongside with mini exhibition, rap battle and performance, Dance performance while the participated guest can enjoy jumping recreation at Jumpstreet Asia, PJ. 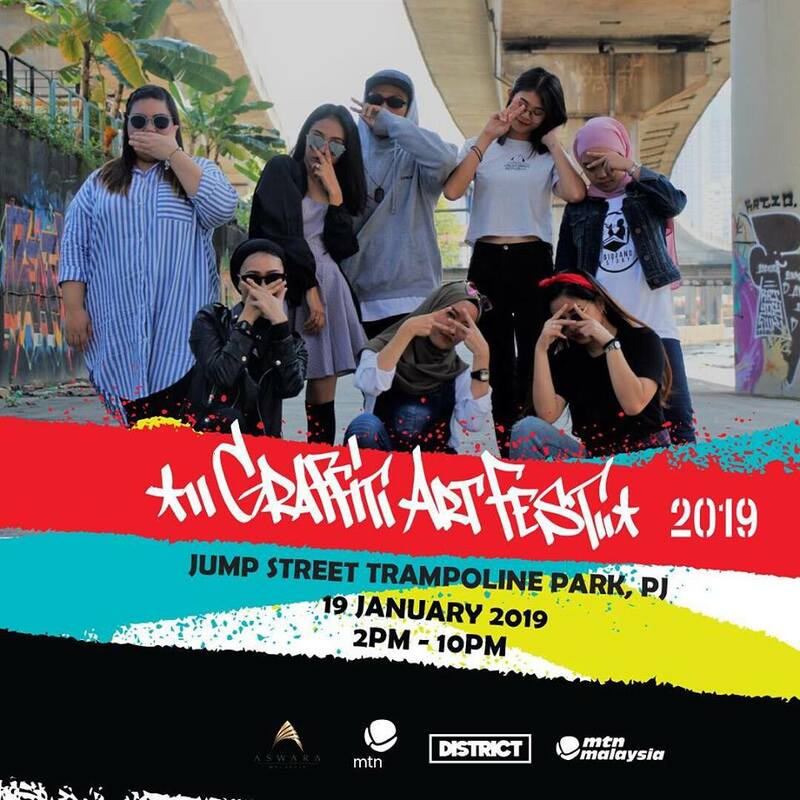 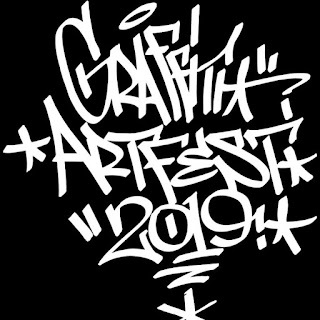 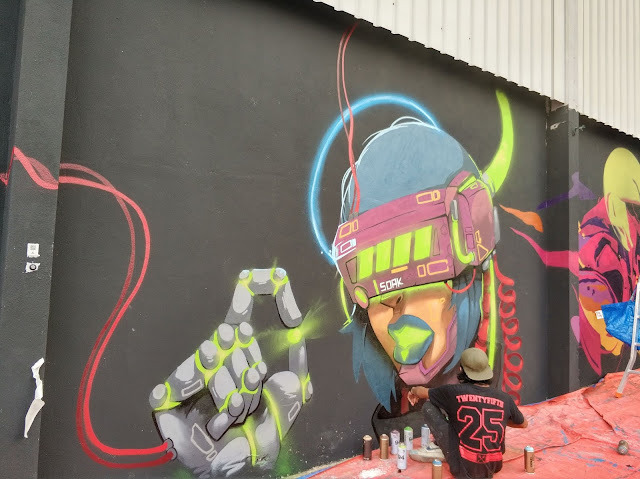 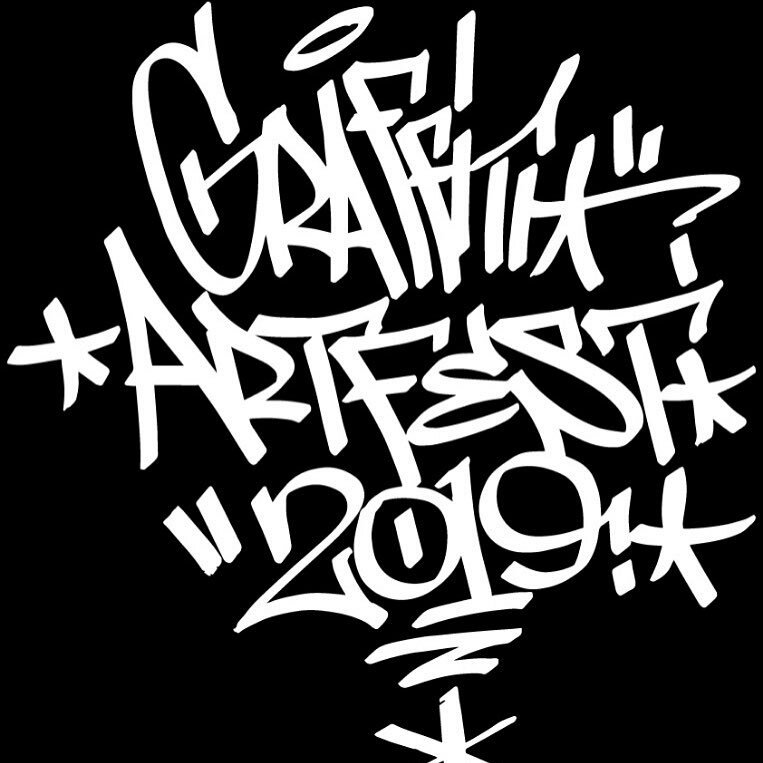 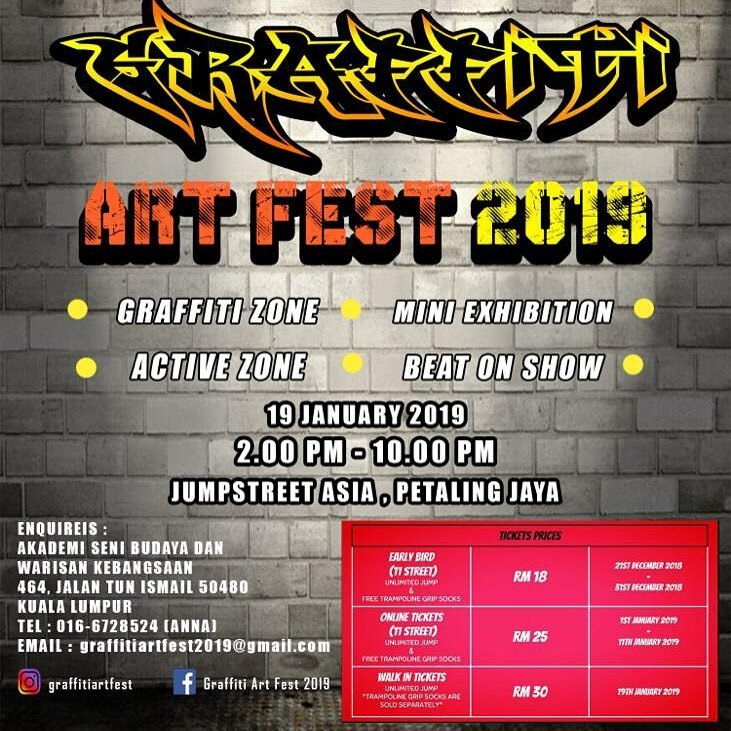 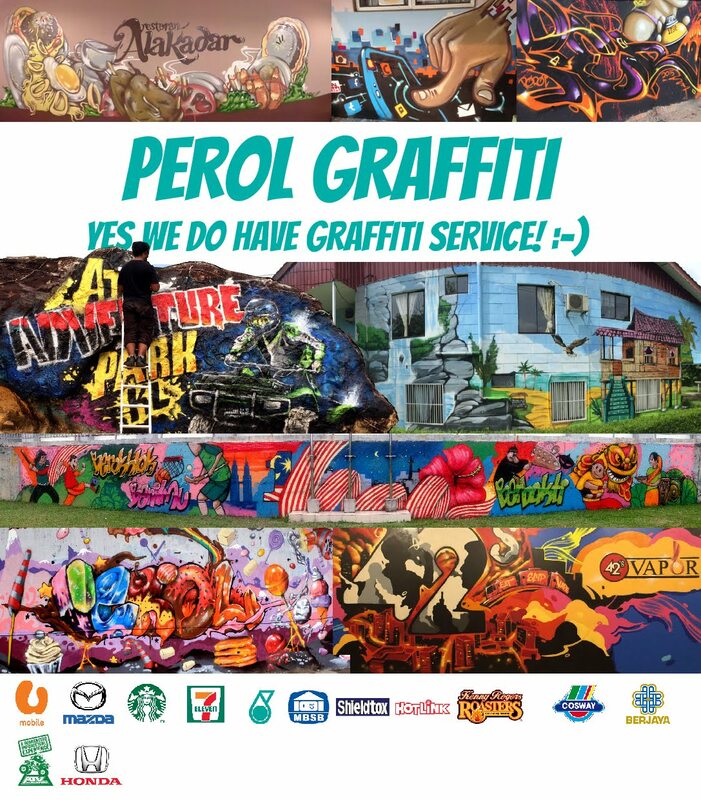 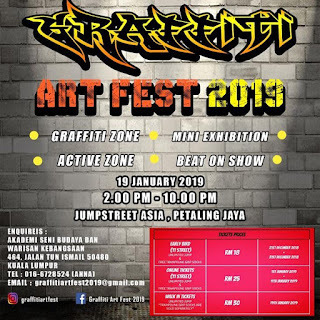 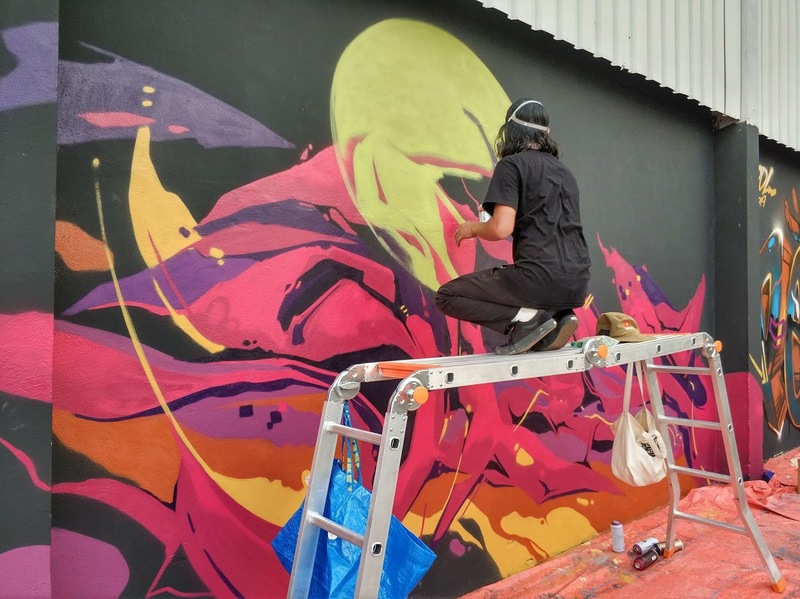 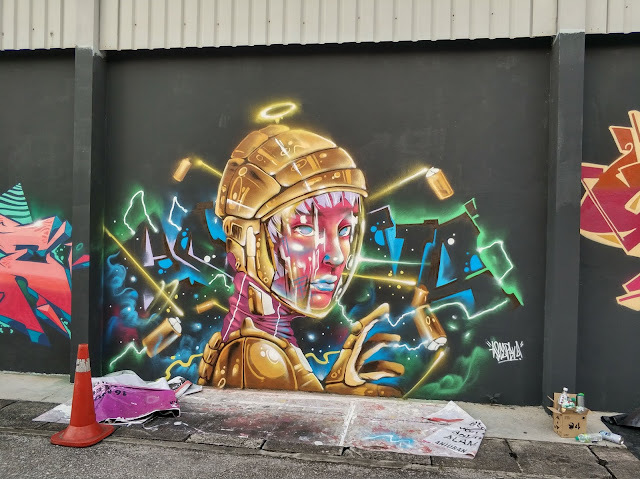 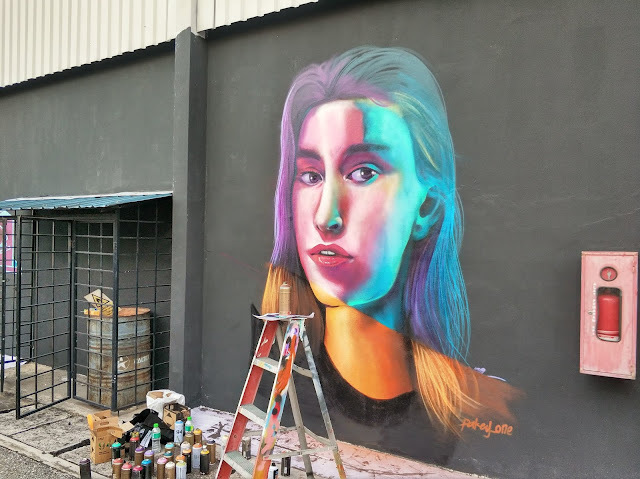 Supported by MTN Malaysia, District Shop Gallery who provided some free cans for us, we as graffiti artists also supported this kind of event where we can help to bring positive messages to the public and expose the aesthetic value of graffiti. Here are some work in progress that we paint during the day. 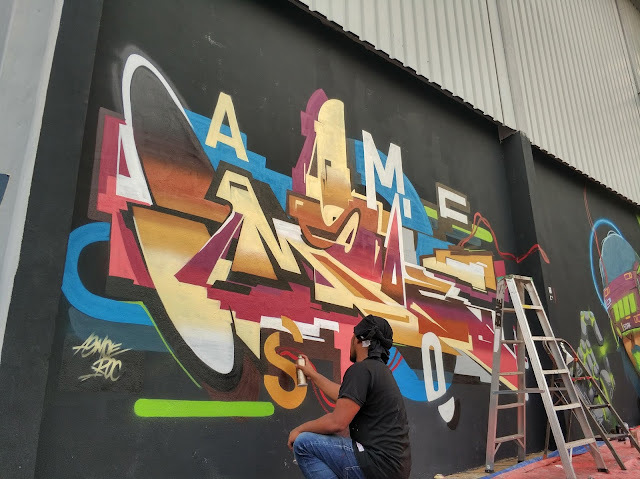 check out their Instagram for the final piece.